Some parts of the volumes for 1874 to 1908 are available on Google Books. They can be accessed using the links given below. After linking to the appropriate volume, enter the desired page number to migrate to the page containing the item. Not all of the Journal is currently available onlline. 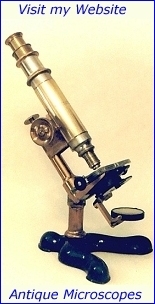 Feel free to visit my web site and view some of the antique microscopes in my collection.